How to Call Slovak Republic from the U.S.
To call the Slovak Republic, you can use either your Ooma Telo-connected home phone or the Ooma Mobile app. Now dial the country code for the Slovak Republic, which is 421. There are some things to keep in mind when calling the Slovak Republic. You may encounter listed numbers beginning with a “0.” That 0 is a “trunk code” and is part of the Slovak Republic’s national dialing format (similar to how we in the U.S. sometimes must use “1” when dialing a long distance number). Dial only the numbers after the 0 to ensure the call goes through properly. Mobile numbers in the Slovak Republic begin with a 9. Keep in mind mobile per-minute rates apply to these phone calls with Ooma. 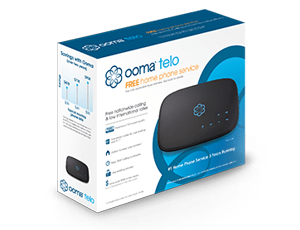 It can be expensive and difficult to call Europe, but with Ooma Telo, it’s affordable and easy. Using Ooma’s Basic Service or Premier Service, calls to landline numbers in the Slovak Republic are billed at a rate of $0.053 per minute, so a 10-minute phone call would cost you $0.53. For mobile phone numbers, the per-minute rate is $0.273. Basic Service is prepaid and charges are deducted from your prepaid balance, while with Premier Service the per-minute charges are added to your bill in addition to the $9.99 monthly fee. Ooma will save you money over competitors. MCI has a required $4.00 monthly surcharge to get its best rates. After that, any calls to the Slovak Republic are billed at $0.25 per minute, meaning your actual per-minute rate is significantly higher — especially if you aren’t frequently calling internationally. Ooma-to-Ooma calls are 100% free regardless of the amount of time you talk, so if your contact in the Slovak Republic is also an Ooma customer, you can talk as long as you want and it won’t cost a penny. You’ll also have calls in crystal-clear HD voice, which is much better quality than standard telephone lines can provide. International calling using one of Ooma’s international dialing plans can save you even more money if you’re frequently calling internationally, even outside of the Slovak Republic. The Ooma World Plan gives you unlimited calling to landline numbers in 60 countries and mobile numbers in 10 countries for $17.99 per month. This plan includes unlimited calling to any landline number in the Slovak Republic. Calls to mobile numbers are billed at the standard $0.273-per-minute rate and added to your bill in addition to your monthly charge. If you’d like unlimited calling to mobile numbers in the Slovak Republic as well, consider the Ooma World Plus Plan. This plan increases the number of countries you can call with no limits to 70, and it includes unlimited calling to mobile numbers in 40 countries. This plan costs $25.99 per month.